The ground breaking ceremony for Hong Kong’s largest youth hostel project was held recently. The project occupies a 66,000 sq ft site in Yuen Long. The hostel will provide 1,680 flats, including 816 units of 161 sq ft for singles, and 432 flats of 215 sq ft for pairs. 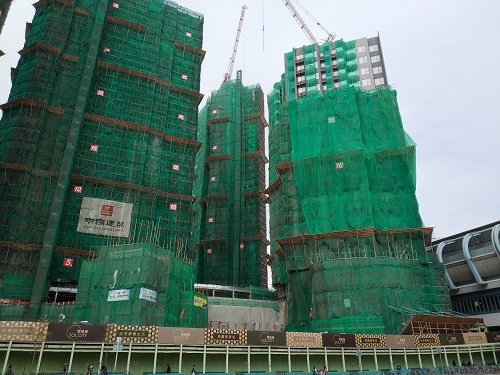 Build at the cost of HK$1.4 billion government funding, the hostel is expected to complete in 2021 and will be operated by non-profit organisation Po Leung Kuk. The government plans to sell two sites in Mong Kok in the financial year 2019-20. The first site is located at the intersection of Soy Street and Shanghai Street and the other located at the intersection of Reclamation Street and Shanghai Street. The two sites will provide approximately 230 to 300 residential units of small to medium size. The market valuation of the Soy Street site is between HK$730 million and HK$850 million, while that of the Reclamation Street site is between HK$290 million and HK$340 million.